"The PSA World Tour Finals always provides a fitting climax to the PSA World Tour season and we are excited to be staging this season’s tournament in Cairo," said PSA Chairman and A. A. Turki Group of Companies (ATCO) Chairman Ziad Al-Turki. "With a number of the sport’s highest-ranking players hailing from Egypt, squash already has significant presence and popularity in the country, and we hope to build on that by holding the World Tour Finals there. "I would like to thank both the Wadi Degla Club and CIB for their support in staging this event, and I look forward to watching the action unfold in June." CIB Chief Executive and Board Member, Hussein Abaza, said: "We are delighted to sponsor the PSA World Tour Finals and remain committed to supporting world-class squash in Egypt. We have been involved in a number of major tournaments in the region already this season, while we will also serve as title sponsor for the PSA Women's World Championships, which will bring the world's best back to the Great Pyramid of Giza, one of the most iconic venues in sporting history. 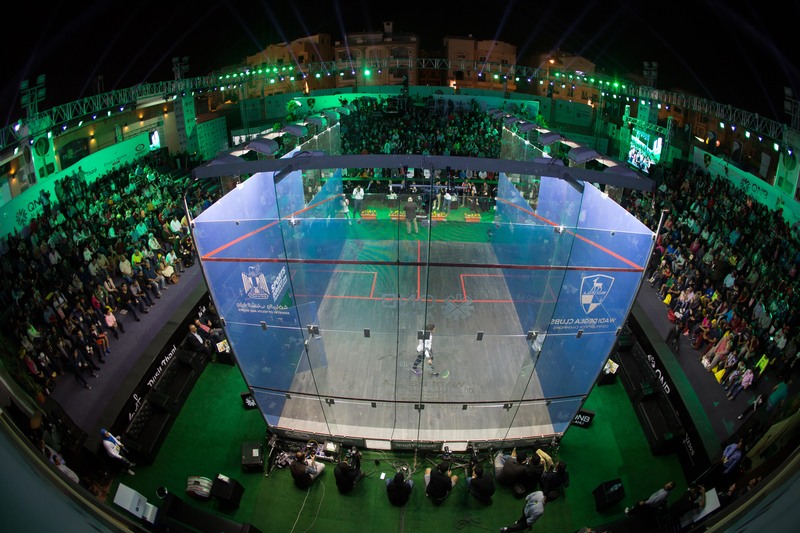 "Our sponsorship of the PSA World Tour Finals will see us build on a successful partnership with PSA, and I for one cannot wait to see some of the greatest athletes in world sport take to the court in Cairo in June." Wadi Degla Squash Director, Karim Darwish, said: "We are excited to be bringing the PSA World Tour finals to Egypt for the first time in the tournament’s history, and I believe that the Wadi Degla Club will provide the perfect venue for squash’s season finale. "The Wadi Degla Club is no stranger to hosting the world’s biggest squash tournaments and I look forward to welcoming players to Cairo on June 8th for what promises to be a thrilling week. I would also like to thank CIB for their support and look forward to working with both them and PSA in the coming months." Two more Platinum tournaments remain this season, with the El Gouna International and Allam British Open still to come in April and May, respectively. The men’s XII Torneo Internacional PSA Sporta, Bronze tournament, which is held between May 29 - June 2, will be the last ranking PSA World Tour event of the season. For the full CIB PSA World Tour Finals Leaderboard, go here.